There is a growing trend around the world towards increasing students’ contributions to the cost of higher education. One of the advantages is that, when students pay for their education, they do so in the country where they study. 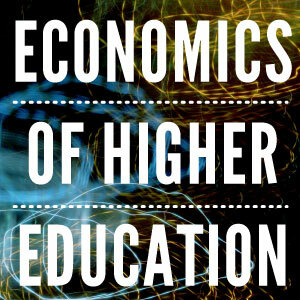 Relying on tuition fees to finance higher education can however be both inefficient and unfair, preventing access to higher education to liquidity constrained but academically deserving individuals. Even if loans are available, risk aversion can negatively affect participation. Income-contingent loans (ICLs) provide insurance against adverse labour market outcomes by making repayments dependent on the amount of income earned. In particular, no repayment is typically due when earnings are below a minimum income repayment threshold. Australia was the first country to implement in 1989 an ICL scheme to finance the cost of higher education, and other countries have since adopted similar schemes. These schemes have traditionally relied on general taxation to finance part of the cost of education, and most notably the cost of education of those unable to achieve the minimum income repayment threshold. In Chapter 8 of “The Mobility of Students and the Highly Skilled: Implications for Education Financing and Economic Policy”, we explore the choice between two types of ICLs: one partly subsidised, often denominated risk-sharing ICL, where the cost of the education of the unsuccessful students falls on the taxpayer; and the other self-financed, often denominated risk-pooling ICL, where the cost of the education of the unsuccessful students falls on the successful graduates of the cohort. Our purpose is to capture the situation faced by governments, such as those in Australia or UK, considering switching from partly subsidised to mostly self-financed funding schemes, while still providing insurance through income contingent repayments. We consider individuals who are risk-averse and differ in their ability to benefit from education and inherited wealth. We first compare the higher education participation achieved with each scheme. We then show how each individual’s preference over the schemes depends on her ability and wealth and characterise the majority voting outcome. We identify circumstances under which the self-financing ICL is supported by a majority, even if a proportion of those who always study regardless of the scheme in place – precisely those with relatively higher wealth and ability – prefer the subsidised to the self-financed ICL. DISCLAIMER: The views expressed are those of the authors and do not necessarily reflect the position of their institution of employment. The mobility of researchers, particularly internationally, has been encouraged at the policy level to promote enriching experiences, build networks and facilitate the processes of knowledge and technology generation and dissemination. We estimate the impact of international research mobility on the careers of established university researchers working in five European countries—France, Germany, Italy, the Netherlands, and the United Kingdom. We find that stayers and researchers who return to the country of their PhD, are the most likely to achieve tenure, and repeat-migrants – who have left the country of their PhD and moved countries again since – are the least likely.